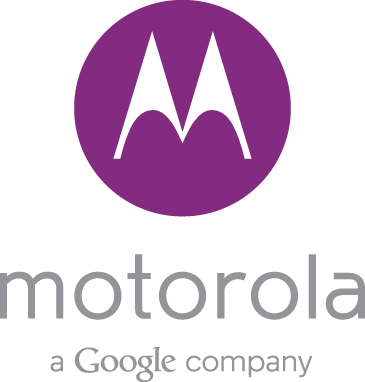 That right there is your new Motorola logo. Gone is the bright red “M,” in is some sort of a purple, along with an all-lowercase “motorola” and the tagline of “a Google company.” The company hasn’t officially unveiled this new logo in any sort of announcement, but they decided to go ahead and use the new look in a sponsorship of the TechWeek Chicago conference that is going down on June 27. The logo was tucked away in the bottom corner of the sponsorship page, but it’s certainly there. When you think of Google, this new minimal-all-lowercase design makes a lot of sense. Look at Google Glass as an example of Google’s minimalism or the Google.com home page. But a new logo is one thing, what we want to know is when this rolls out, if it will happen when the Moto X is finally announced, and if the M logo will be available in something other than purple? Update: The Verge also posted up this multi-colored version. Thoughts on the new look?